A couple of weeks ago I was up at St Andrews attending a little nature-writing festival put on by Waterstones. I’m not much of a one for literary festivals – one summer stint at Edinburgh International Book Festival and one spring weekend at 2014’s Dorothy Wordsworth Festival of Women’s Writing is my sum total to date – but nature writing is one of my favourite genres and I was looking for an excuse to get to know this little seaside town better, as my husband had just got a job there and we’d be moving there in a couple of months. It was also pretty cheaper – £10 per person for a whole day of events, and that £10 fee redeemable against the cost of any books bought. Sold! The festival space was a corner of Waterstones packed with chairs and guarded by a table containing lots of tasty things to eat: we arrived in the middle of the afternoon to a choice of cakes, tea and juice and happily settled in to some nibbling before the reading started. We were there to hear Karen Lloyd talking about The Gathering Tide (2016), a book which explores the edgelands of Morecambe Bay on the south-western periphery of the Lake District. 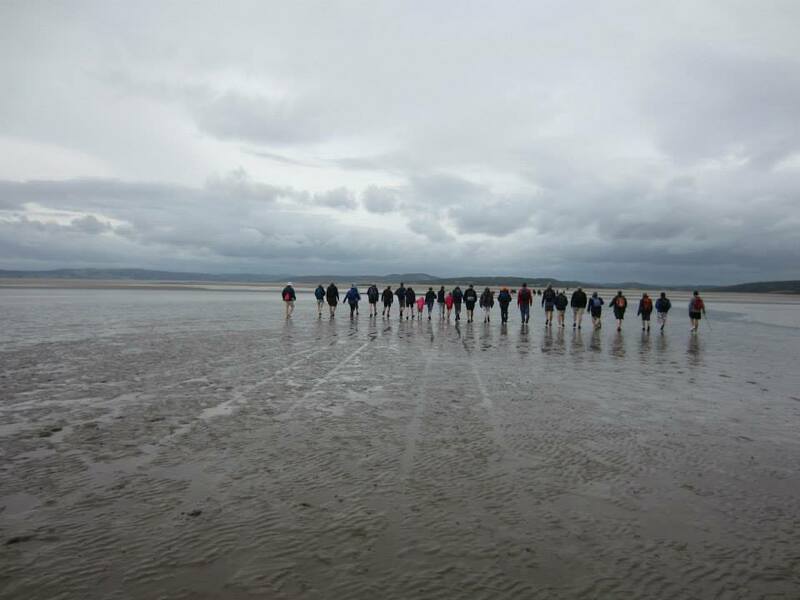 Having met and married my husband in the Lakes, crossing the sands of Morecambe Bay with him and a group of friends in 2013 (more of which here), it’s fair to say that we know and love this area well – though not anywhere near as well as Karen Lloyd, who spent a year tracing the Bay’s basin to research this book. Lloyd has a lifetime’s love of the Bay, having moved to South Cumbria as a child and living there still. She’s also dug deeply into the area’s history, hunting out maritime charts and chasing elusive guides to lead her to places like Piel Island, with its King and Castle and pub, The Ship Inn.